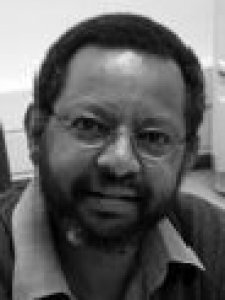 Hassan is director of the Centre for Environmental Economics and Policy in Africa (CEEPA), at the University of Pretoria and previously held positions with CSIR in South Africa, and CIMMYT International. He has served as member of CGIAR Science Council, ISPC; Human Sciences Research Council of SA; CGIAR Climate Change Challenge Program (CCCP); Academic Advisory Panel for The World Development Report on Climate Change; Stockholm Resilience Centre Board; GEF Science and Technical Advisory Panel, STAP IV; Science Panel of the Millennium Ecosystem Assessment. His honours include, member, Academy of Sciences of South Africa (2005-2008); University of Pretoria Chancellor Medal for Research (2011); Univ. of Pretoria “Achiever: Academic Excellence” (2005 and 2008). He is founding chief editor of the African Journal of Agric. and Resource Economics and has published more than 140 refereed publications including 12 books. Keywords	 Economic modelling; dynamic optimization; environmental accounting; economics of climate change.